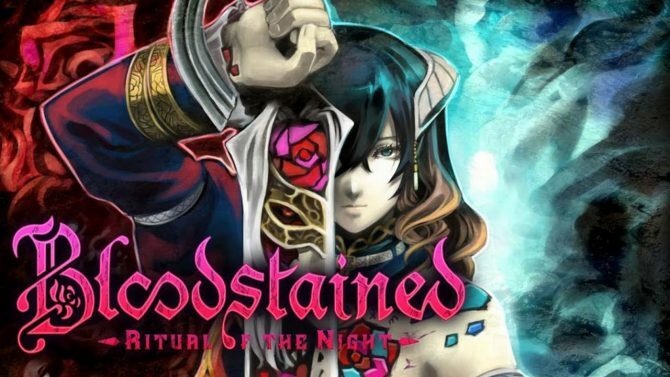 My fears for Koji Igarashi’s Bloodstained: Ritual of the Night quickly diminished after only a few minutes of going hands-on with the game at New York Comic Con this year. Being a Kickstarter title, I initially worried that Bloodstained might’ve gone down the same road as recent titles like Mighty No. 9 did, but that doesn’t seem to be the case at all. 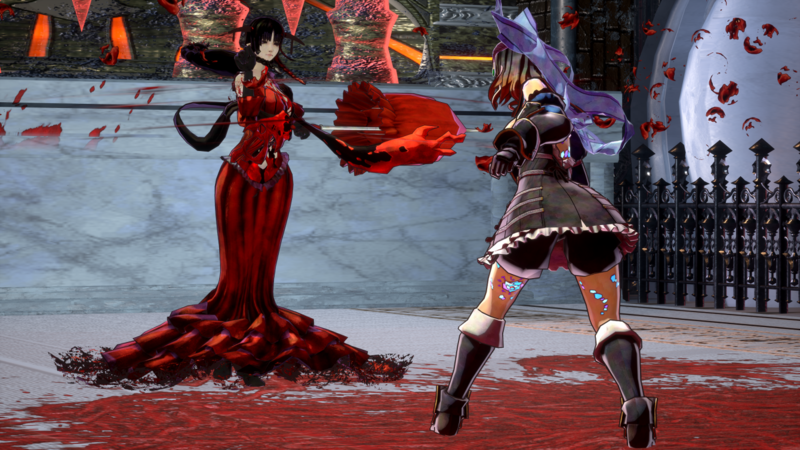 Firstly, I need to point out how cool Bloodstained looks. 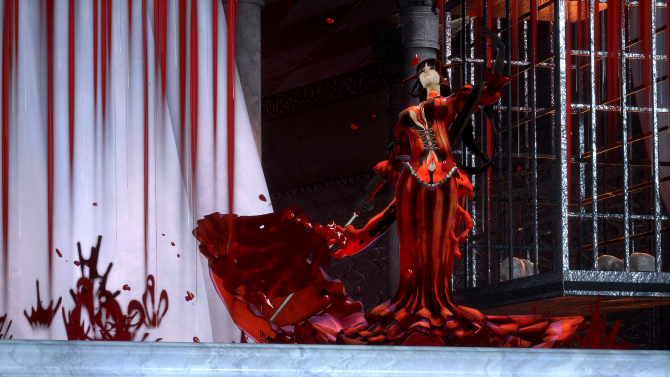 Judging by the first environment that I explored, the levels are filled with dark reds and purples, giving the world of Bloodstained some of its own personality while making for an experience that captures the essence of gothic horror and the series’ spiritual predecessor, Castlevania. Even though my time with the game was brief, I wholeheartedly enjoyed exploring the game’s weapons, enemies, and powers. I personally found the claymore to be my favorite weapon from the demo. While it was slower than all of the other weapons in the game, its hitbox and damage made up for that shortcoming. I also toyed around with the whip for a bit; it felt good, but it didn’t seem as effective as other weapons in my inventory. 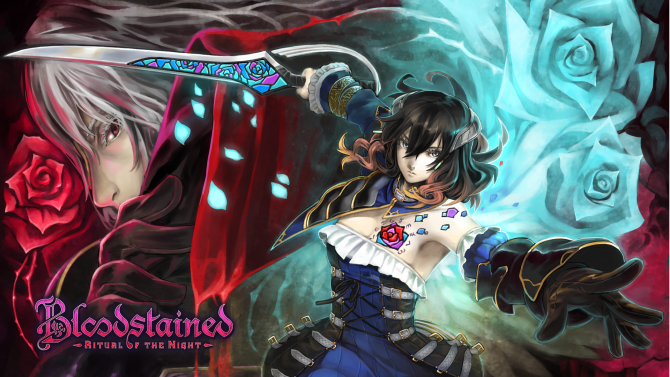 A unique mechanic in Bloodstained: Ritual of the Night is the use of “Shards.” They’re various colored crystals that the main character, Miriam, would shove through her chest in a very graphic manner, which then gives her access to different abilities that you can use. For example, some will grant you the ability to summon monsters and throw fireballs, while others will allow you to double jump, slide, and unlock other skills. You can mix-and-match various abilities as you play and unlock more, and I love that Bloodstained allows you to take on its world however you like. 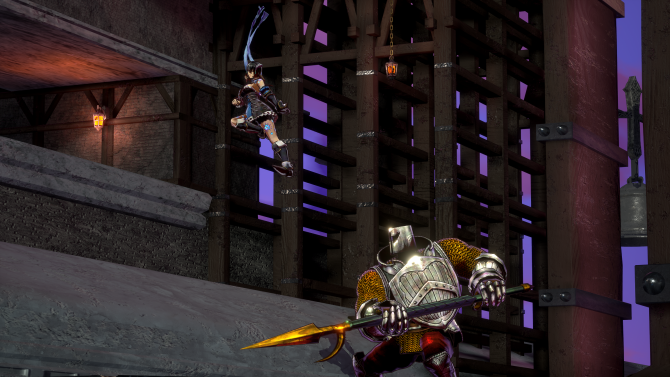 Combat feels almost one-to-one when compared to something like the classic Castlevania: Symphony of the Night. 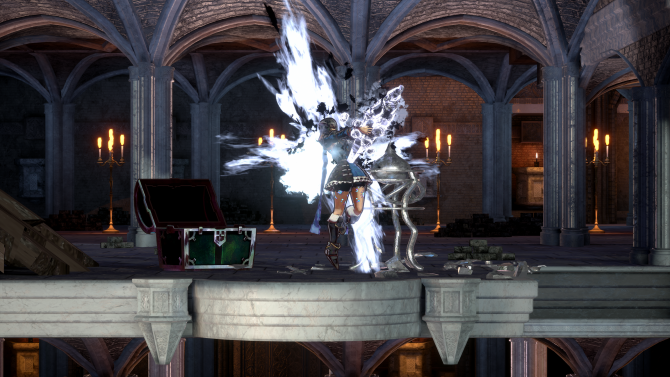 I enjoyed the addition of magic in place of items like holy water and axes that you could pick up in the other games. Instead of finding these items, you can simply switch between different Shards and use their power whenever you need, so now you won’t have to worry about not having the right item at the right time for a certain boss or enemy. I didn’t have much difficulty in finishing the demo, but the boss battle at the end of it did give me a run for my money. Luckily, I was supplied with a good amount of large and small health potions, but even then if I wasn’t careful I could’ve easily been outplayed. Because this was an early part of the game though, I’ll forgive it for being relatively easy overall. And I have to say that seeing “Level Up” appear over Miriam’s head, just as they did with Alucard in Symphony of the Night, was a really cool nod that fans of Castlevania should appreciate. Overall, Bloodstained looks like it’s shaping up to be an excellent game and one that fans of old-school Castlevania will definitely want to get their hands on. If you’re like me and grew up in a later console generation, where Castlevania was much less well-known (although I have played Metroidvania titles in the past prior to this one), I still think it’s a great introduction to this genre. I’d also probably say that fans of the illustrious Souls series will find a lot of challenge throughout Bloodstained. 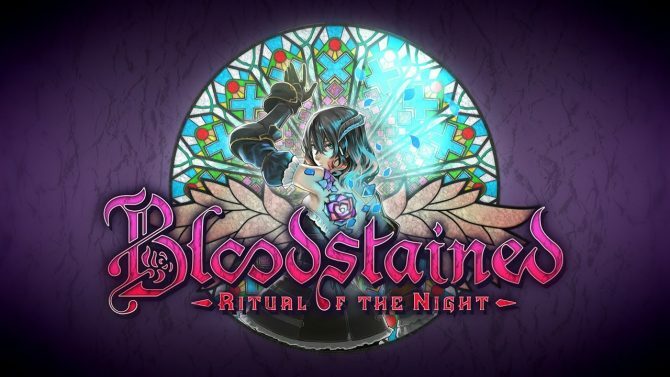 It seems that every time I see Bloodstained: Ritual of the Night again, it continues to look better and better. I hope that can only mean that we’ll get a title worthy of Igarashi-san’s name and legacy. Luckily you won’t have to worry about whether Bloodstained will be making it to your preferred platform or not, as the game will be available on Xbox One, PC, PS4, PS Vita, Mac, and Linux, and has even moved development from the Wii U to the Switch. According to the game’s representatives at New York Comic Con, we can still expect the game sometime in 2018, but no official date has been announced as of right now. I’m personally leaning towards the Switch version of the game, as I had first played Symphony of the Night on my PS Vita. 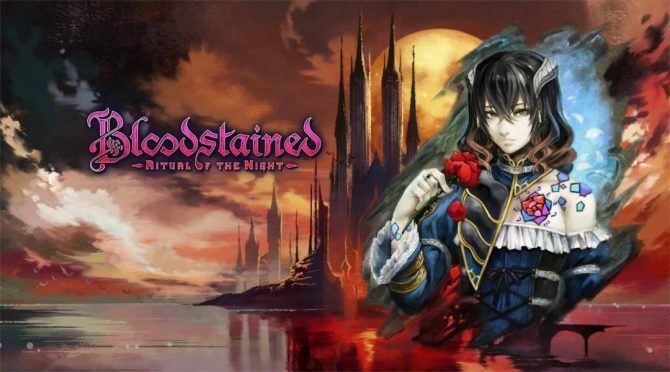 Let us know why you’re excited for Bloodstained: Ritual of the Night in the comments down below.